A popular ingredient in highly spiced cuisines such as Indian, Middle Eastern, North African and Mexican cooking. Cumin’s nutty flavor adds a warm aroma and taste to French and German bread, cakes and pastries. Essential in Mexican and Caribbean achiote blends, adobos, meat dishes, black beans and many tortilla fillings. 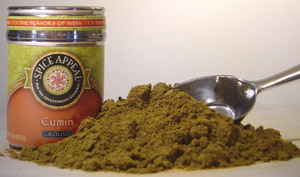 Its warm sweetness makes it an essential ingredient in most curry powders and garam masala.